Lucy York is an aspiring mechanical engineer working as a shot girl serving watered-down drinks to drunken frat boys at Jezebel’s Bar & Lounge. The job isn’t so bad—it pays her bills, and she’s managed to make a surrogate family for herself at the bar. But now, at 24, she’s ready to spread her wings and fly north to attend UC Berkeley and, maybe, distance herself a little from the all-consuming social scene at Jezebel’s. Then her boss hires a new bouncer, Norm, a literature dork who seems like everything a bouncer shouldn’t be: tall, gangly, sweet (and, you know, named Norman). But as she gets to know him, ol’ Norm turns out to be everything Lucy never knew she wanted and the best friend she’s ever had. He’s not a bad bouncer either. One obstacle to their happily ever after: the owner has a strict no-dating rule for employees. If anyone at Jezebel’s finds out she’s dating a bouncer, Lucy will lose her job, her surrogate family, and the money she needs to go to Berkeley. But, if she loses Norm, is she losing her best chance at happiness? I first started dabbling in (very bad) short stories as a kid, and I wrote my first (very bad) novel the summer after sixth grade. My first novel, a fantasy romance, was published in 2010 by a small press. I really value stories about women for women written by women. Also, it's always fun to see how the couple get to their HEA. I read outside the romance genre (I love SF/F and historical mysteries) but the one non-negotiable for my reading is that stuff has to have a happy ending. No matter what. 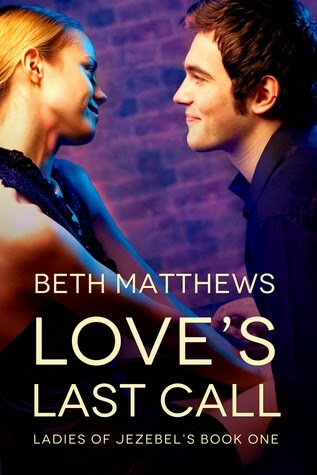 LOVE'S LAST CALL tells the story of a dorky new bouncer named Norm who meets the girl of his dreams, a hottie named Lucy. Lucy, for her part, is a waitress by night and an engineering student by day. The two of them are great together--just one problem, according to the rules of their job they are forbidden to date. My boyfriend was a bouncer in the LA bar scene for several years and he would always come home with these interesting war stories. It's a crazy, fun, chaotic world that I thought would be great for a romance novel. Well, Norm is supposed to be ridiculously tall but with a lean, swimmer's body so I always pictured him as Joel David Moore with an Olympian's body. The heroine looks a bit like a younger Reese Witherspoon: cute, tiny, and blonde. Probably PRIDE AND PREJUDICE with Colin Firth. The BBC got that adaptation absolutely perfect to my mind. Other than that, my favorites never seem to make it to the big screen, alas. I would absolutely die of happiness, though, if any of Georgette Heyer's books were ever made into a film. Get on that BBC! I actually did a binge read this week and sped through the first two books in Sarina Bowen's Ivy Years series. They're really fun and different New Adult books. Highly recommend them. Kathleen Gilles Seidel. Her early romances are incredibly well-written and so emotional. Her novel Til the Stars Fall is the only book that ever made me cry with happiness. Right now with my laptop on my legs while propped on the chaise part of my couch. We just got the couch last weekend and I am dying of happiness it is so comfy. I can fold my tongue in half. It's a rare recessive trait not too many people have. Scarlett Johansen would be awesome. I love her. Ooh! Or Rachel McAdams. Or Kristen Bell! (This is a fun game). I just tried that Celebrity look-alike generator and it said Evan Rachel Wood or Brittany Snow. 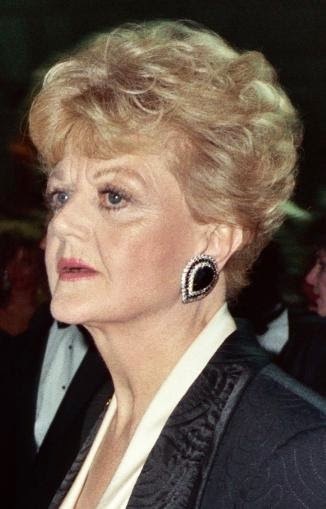 I'll take it…She doesn't look anything like me but can Angela Lansbury play the old me? I absolutely adore her. 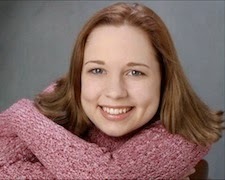 I'm planning to release more books, trying to alternate between Contemporary Romances and fantasy novels under my E.D. Walker pen name. Basically just keep plugging away and telling the stories I want to tell. It's the thing all writers want probably but I'd really love to be able to quit my day job someday and just write all day. I really love "Songbird" by Fleetwood Mac. The singing on that just breaks my heart in the most wonderful way. I can't listen to anything with words when I write so it's usually a bunch of movie scores. When I'm doing anything mindless like keying notes in, though, I put on musicals to distract myself. I have over one and a half days worth of musicals on my iPod. A paleontologist, oddly enough. I loved dinosaurs as a kid.